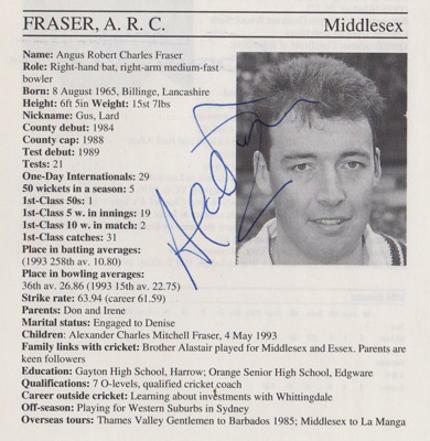 Signed Middx CCC Delivery Stride mag pic. 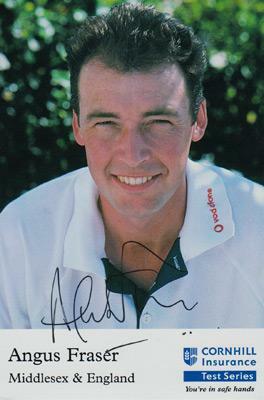 Signed England Man of the Match mag pic. 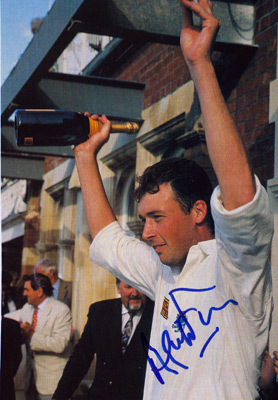 Signed England Wisden Cricket Monthly mag poster. 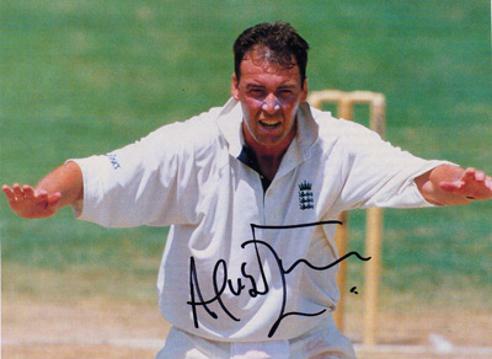 Signed colour press photo of him sitting on the Lord's balcony alongside Mike Atherton with Phillip DeFreitas looking at them through the window in 1994. Signed Middx & England Cornhill Insurance Postcard. 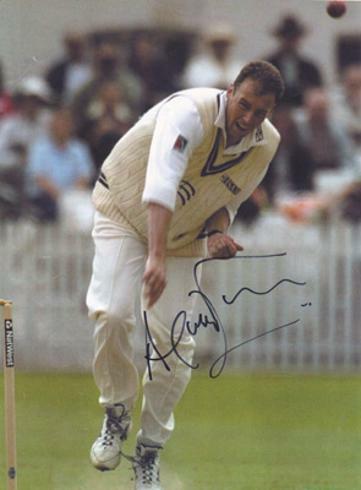 Signed England Bowling Action magazine pic. 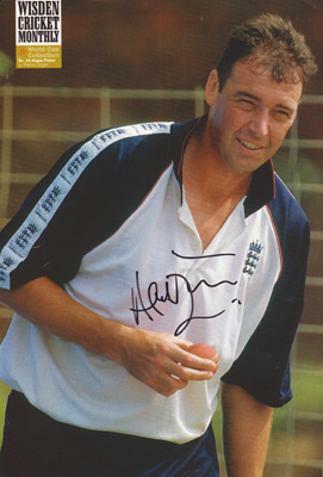 Signed England Bowling Appeal magazine pic.